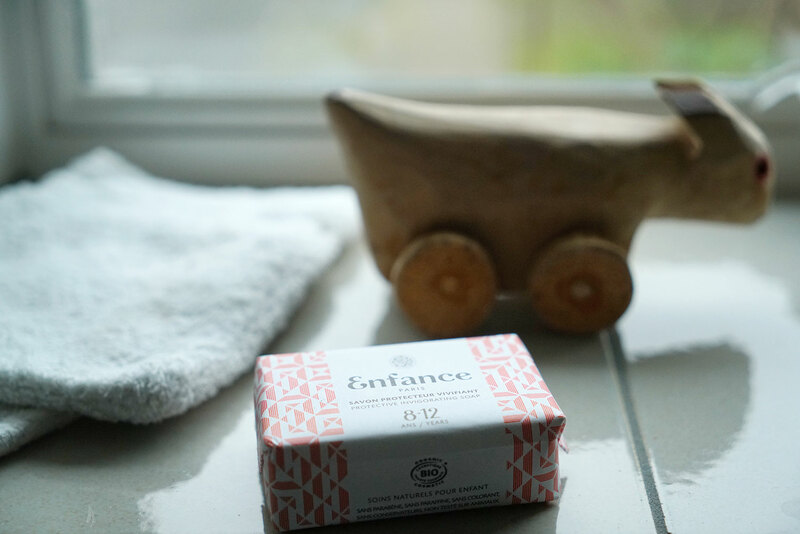 I recently discovered Enfance, a Paris-based company making 100% natural soap aimed purely at children, and using only organic ingredients of the very best quality. After becoming a mother, the owner of the brand, Agnès Laffourcade, realised that she was missing a brand purely aimed at children that used exclusively organic science. So she developed a range of daily personal care products (soaps and a lovely dry oil), keeping the needs of specific age groups in mind: there’s soap for 0 to 3 years old; for 3 to 8 years old and for 8 to 12 years old. All the formulas are especially designed for the delicate and sensitive skin of children of that specific age group, and meet the highest quality and safety standards — using aromatherapy essential oils for a gentle cleanse, without chemicals or alcohol. I really love the thought behind Enfance Paris, and the pretty packaging and the soft and wonderful scents. Plus — how fun is that string? 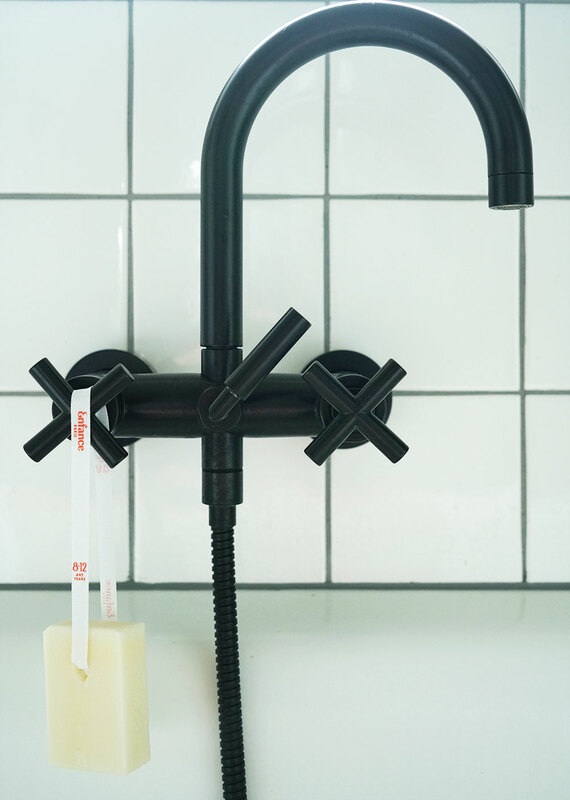 The Enfance soap looks so pretty, hanging from the tap in our bathroom! The soap looks so inviting there hanging at the tap! Had these before but forgot about them. Such a lovely product! Hello, I love this product I’m currently living in bahrain and return back to England for a month in July where would I be able to purchase this product.